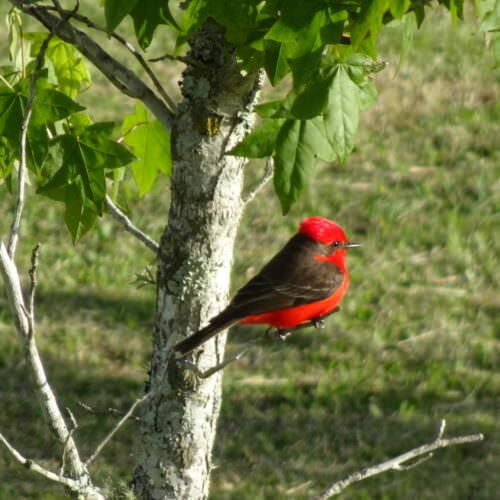 The Painted Birds Trail takes place in the province of Rocha and crosses the Banados del Este Biosphere reserve, a UNESCO site. 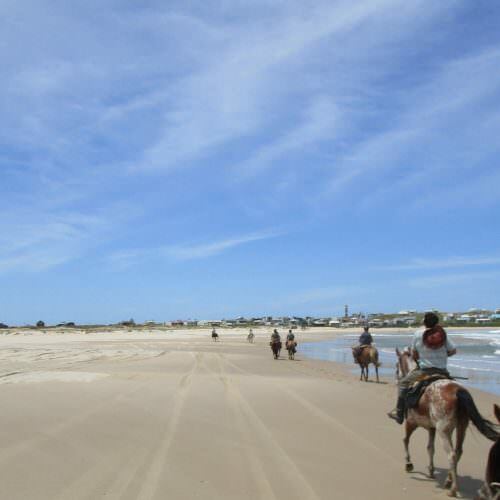 This is a unique place where within a relatively small area you find wetlands hills, native forest, palm groves, sandy and rocky beaches, rivers, coastal lagoons and savannahs all filled with more than 400 species of birds. 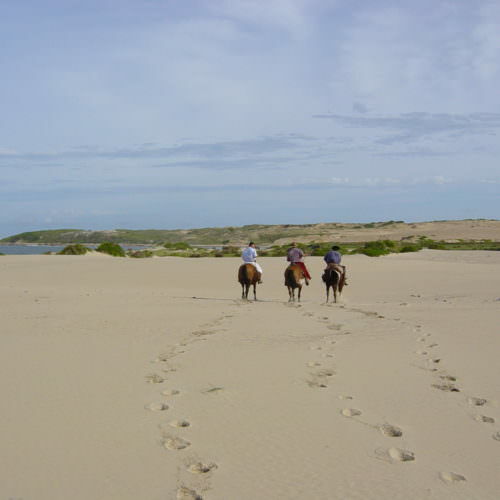 The trail takes you along beaches and over shifting sand dunes, through palm groves and along the shores of the wetlands, some of the largest expanses of inland water in South America. 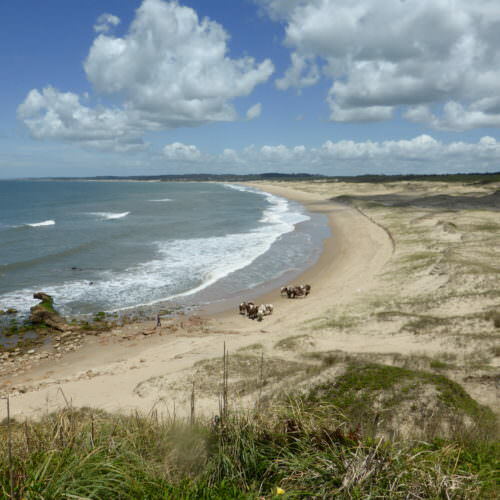 If you wish to extend your holiday in Uruguay you can choose to visit the once obscure fishing village of Jose Ignacio, now arguably one of the most chic places in South America popular with supermodels and Hollywood actors. 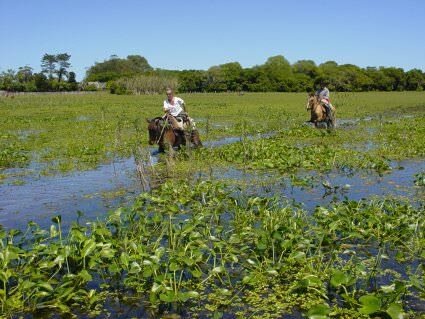 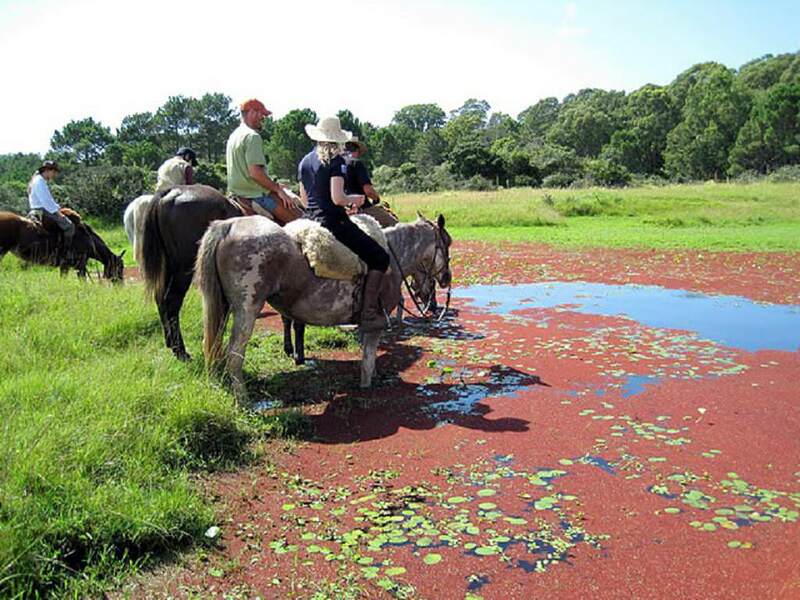 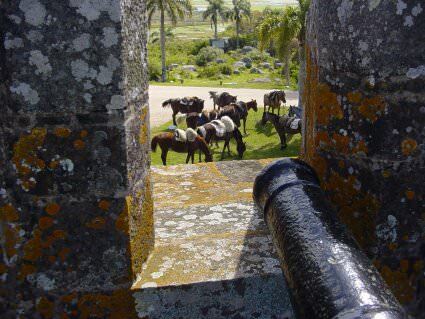 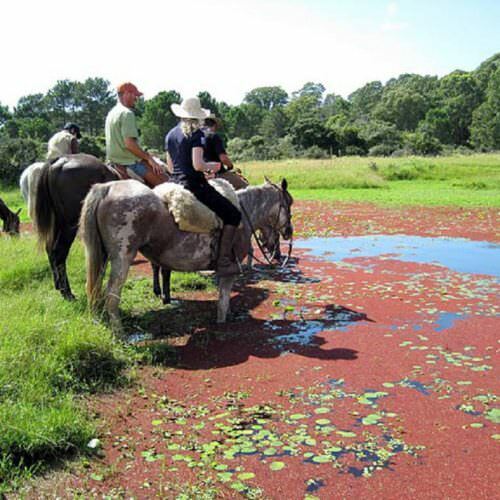 There may also be the chance to swim with your horse at Gazon Lagoon and ride into the Protected area of ‘El Caracol’. 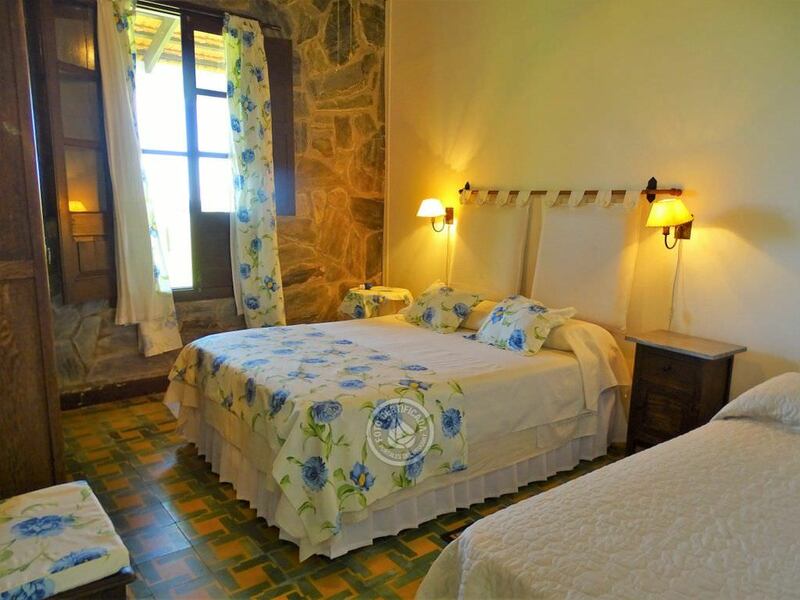 Further inland, luxurious Balcon del Abra nestles in the hills of Lavalleja province just minutes away from the small town of Mariscala. 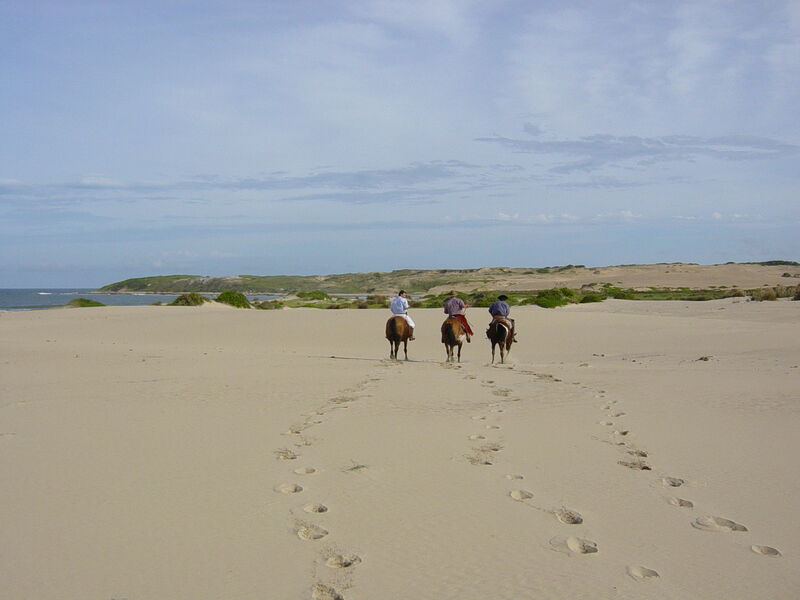 The riding here offers a great contrast to the beaches of Rocha. 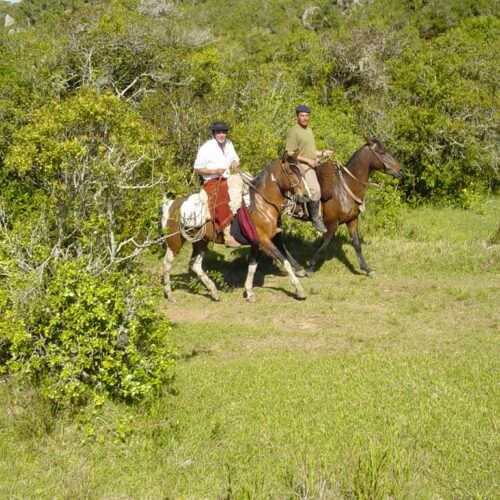 These options also work well if you prefer a centre based or two centre ride rather than a trail. 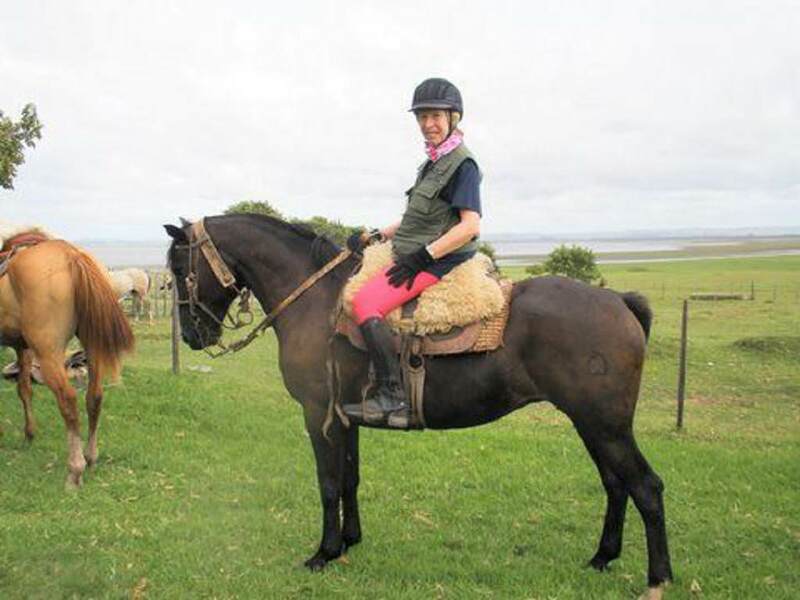 You should be a strong intermediate or experienced rider happy at all paces including gallop and fit enough for up to six hours riding a day. 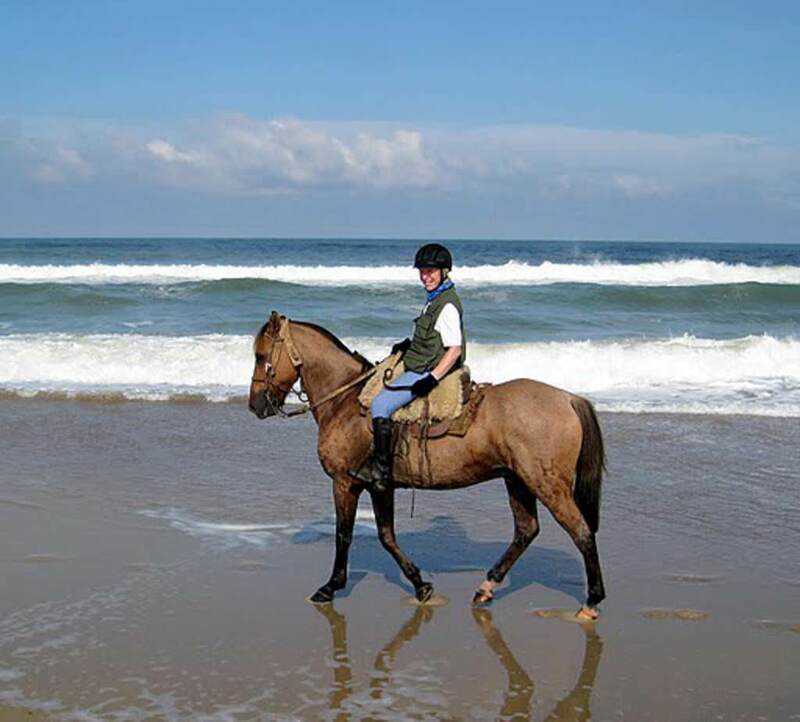 There are plenty of opportunities for fast riding on the grassy pastures and firm beaches. 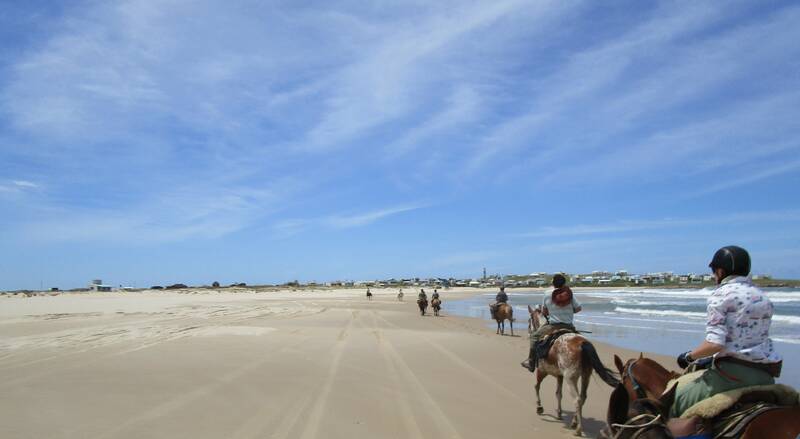 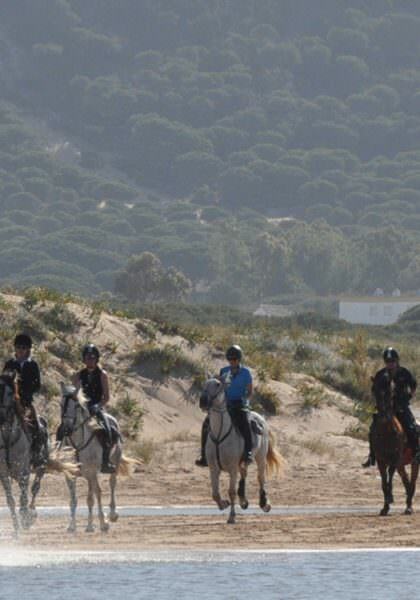 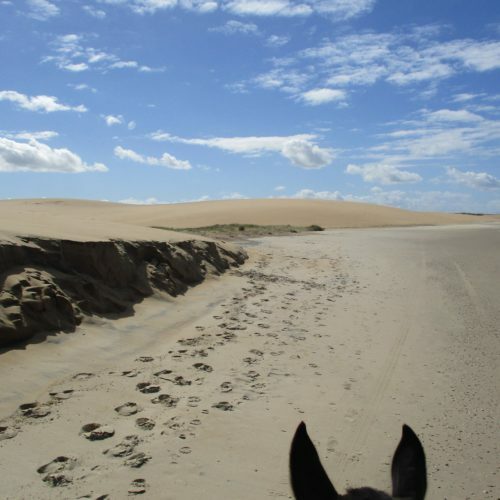 Less experienced riders are welcome at Jose Ignacio and Posada Balcon del Abra. 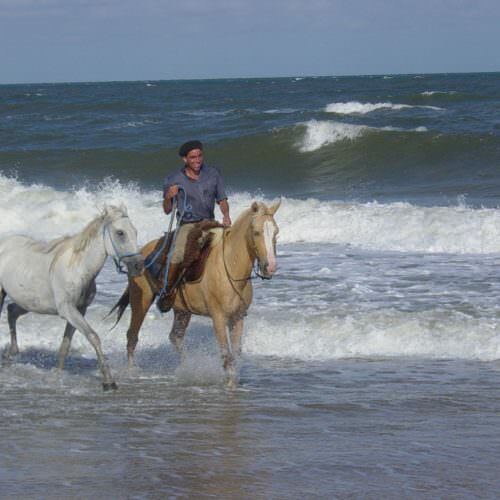 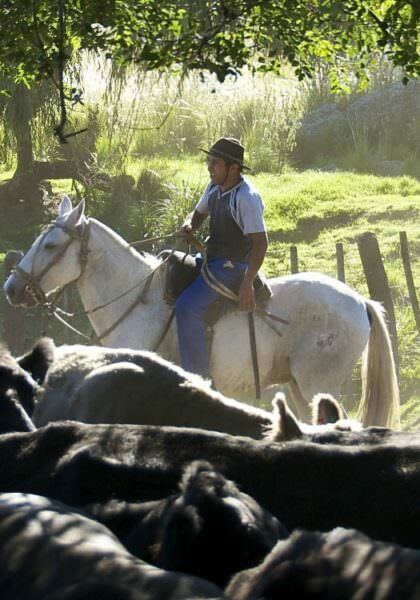 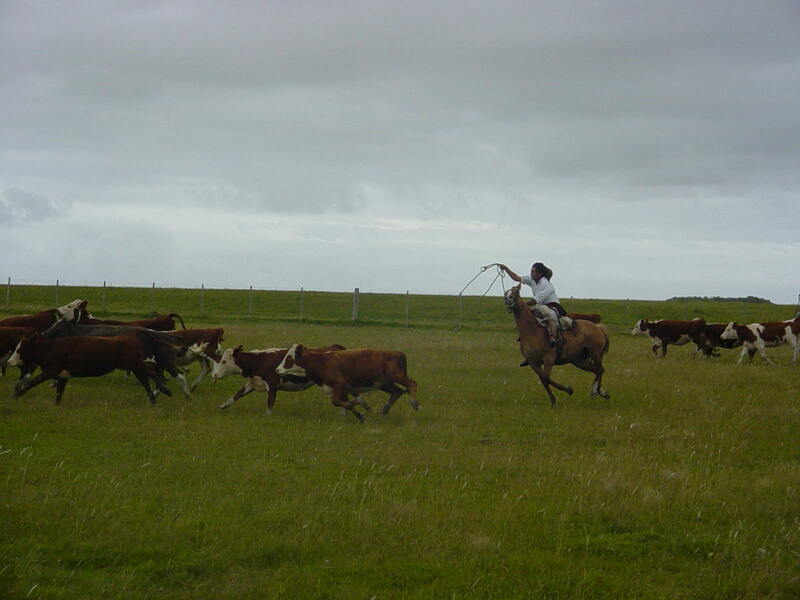 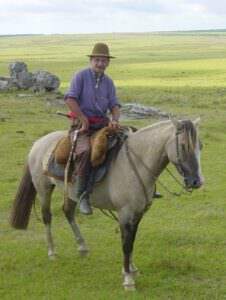 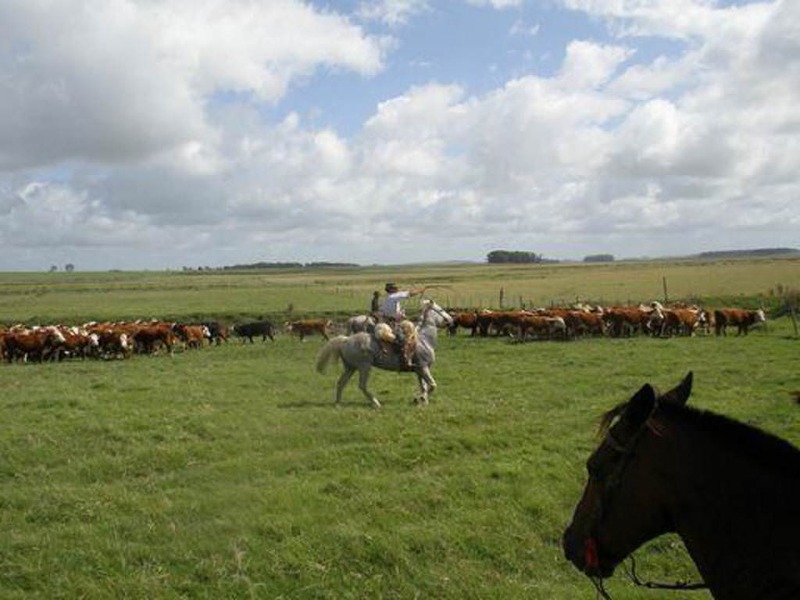 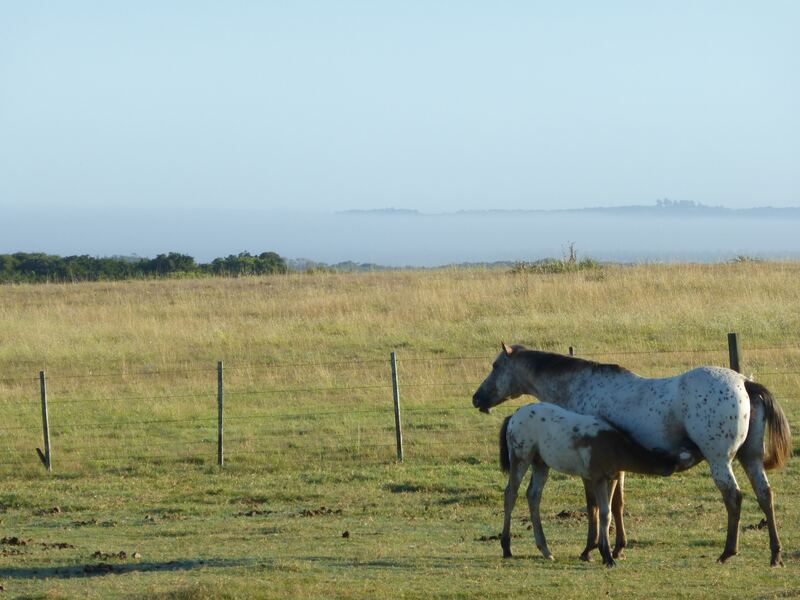 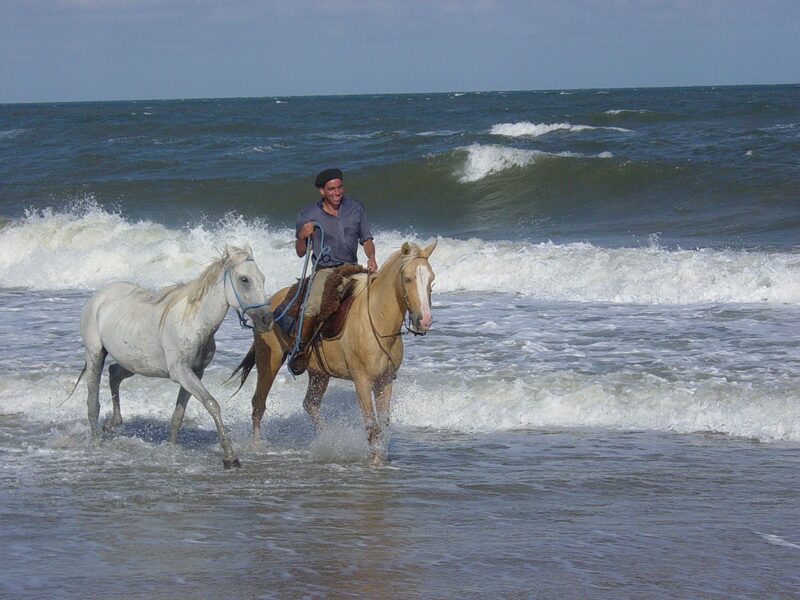 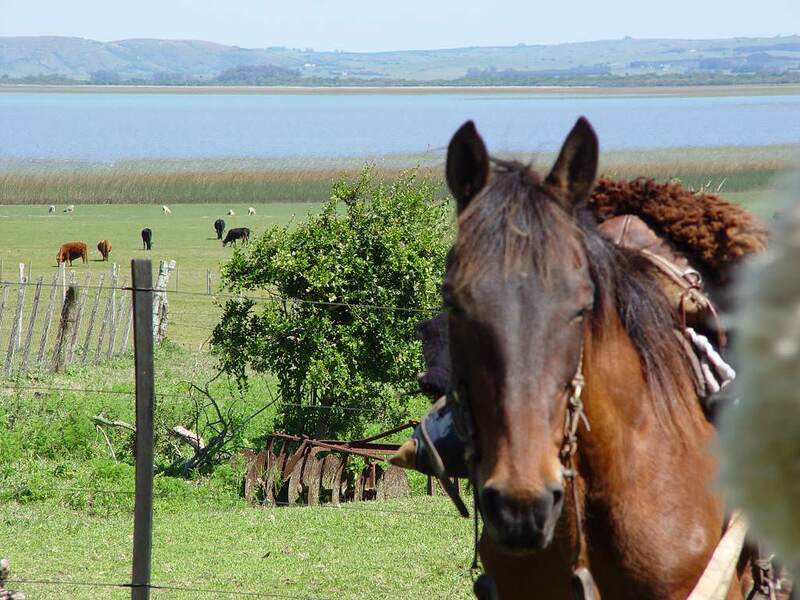 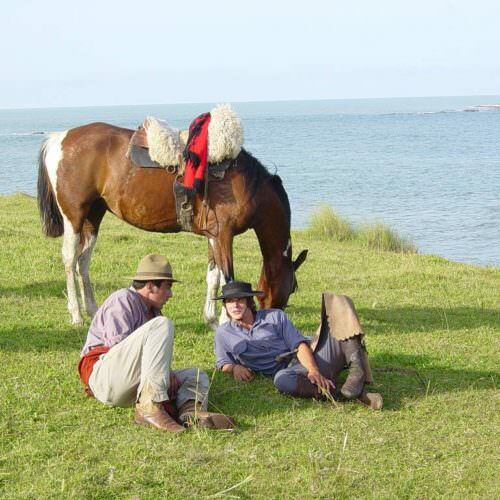 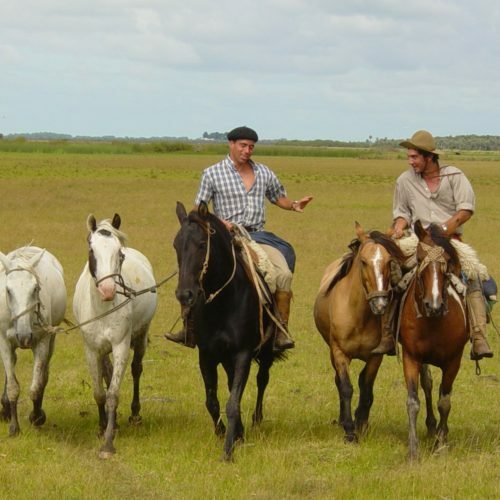 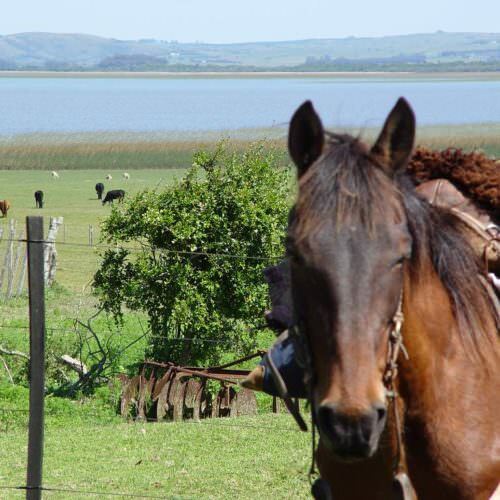 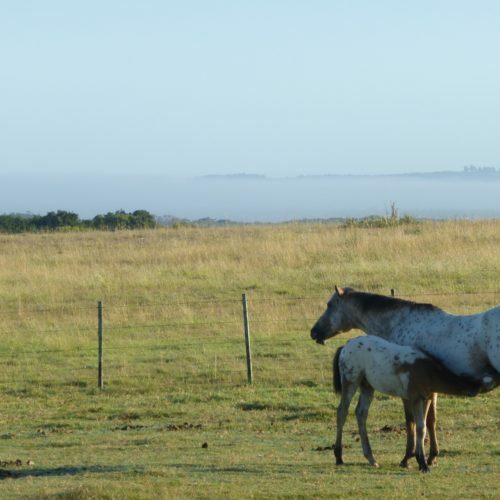 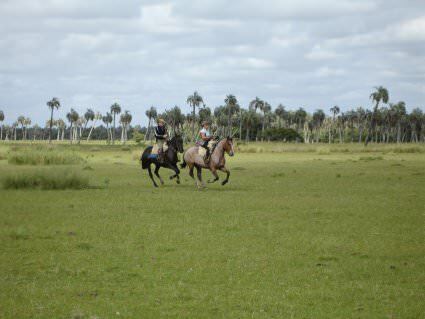 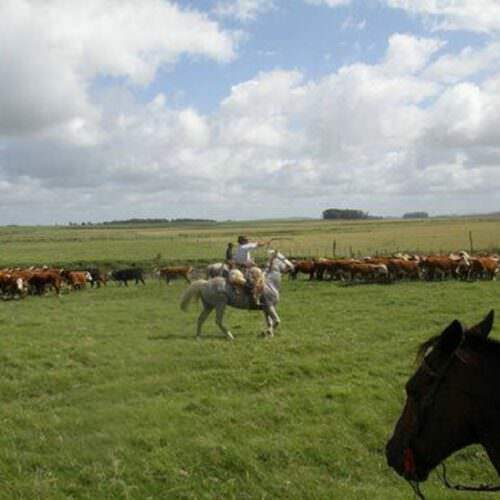 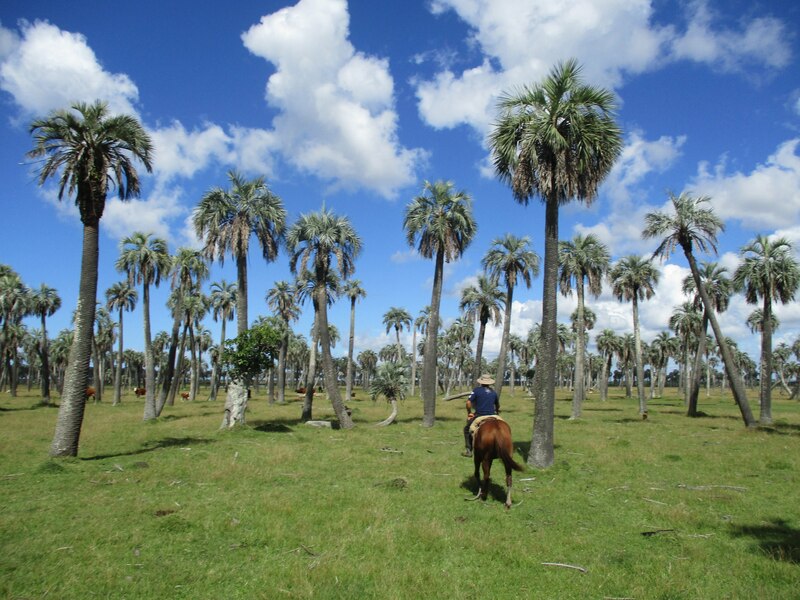 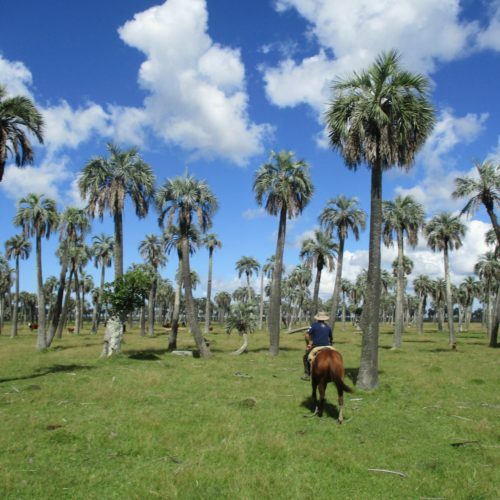 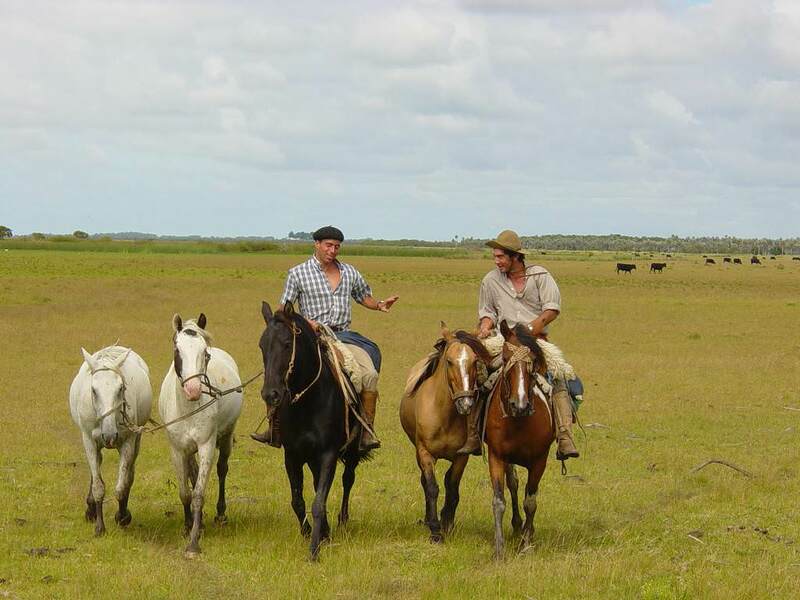 The horses are the local Uruguayan Criollo breed and Criollo cross which are ideally suited to the terrain. 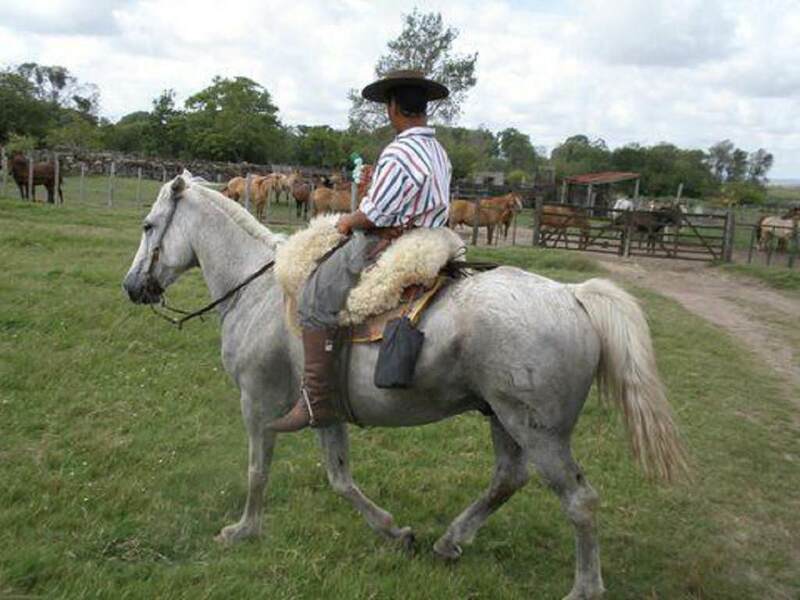 The Criollo is a strong horse with an excellent walk and good character. 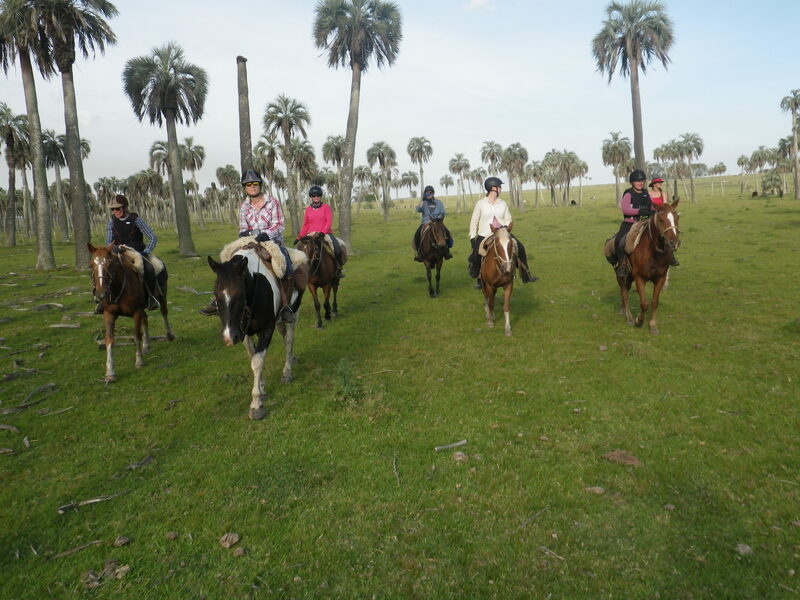 On the Painted Birds Trail your horses will accompany you for the week. 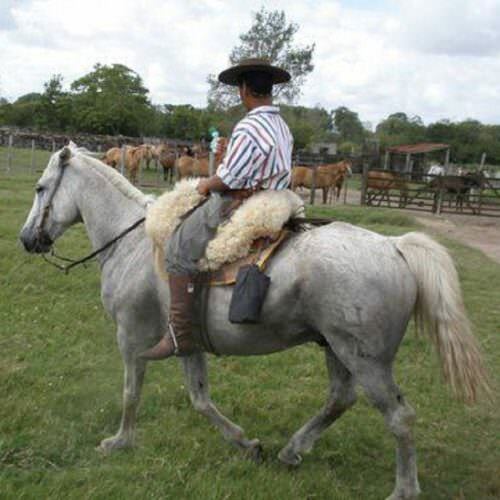 You ride in a local ‘Western’ type saddle with a sheep skin over. 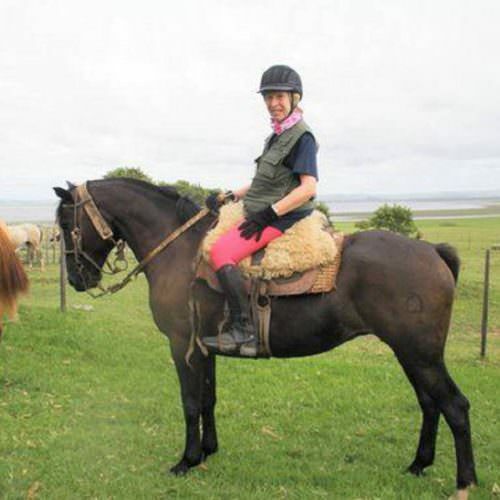 The riding style is Western with a relaxed seat and forgiving rein contact. 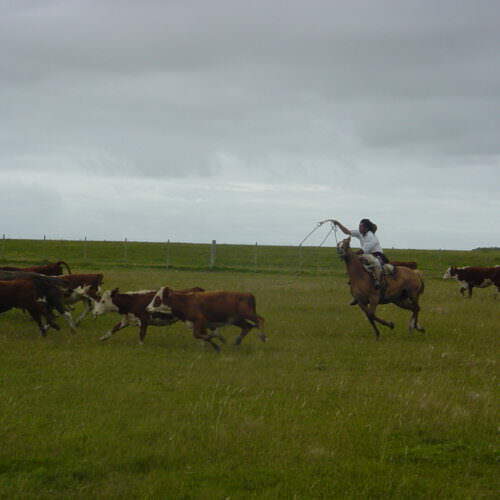 Bridles are also Western-style, with curb bits, and the horses respond to neck reining. 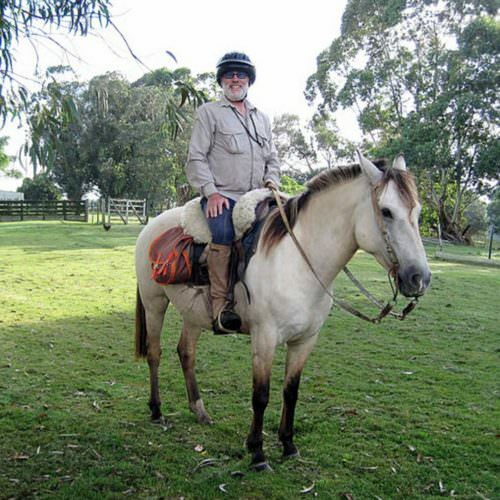 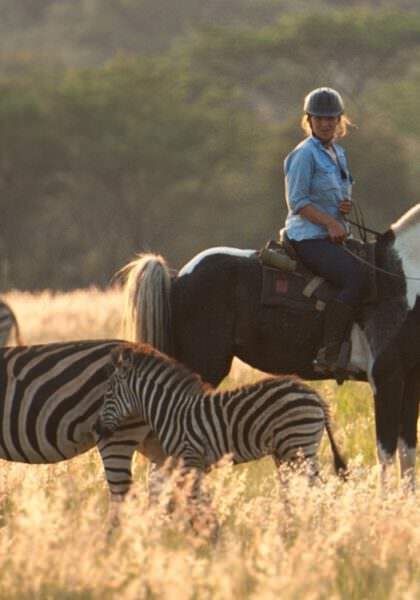 Your guides will give you help in adjusting to the tack, which is very suitable for long days in the saddle. 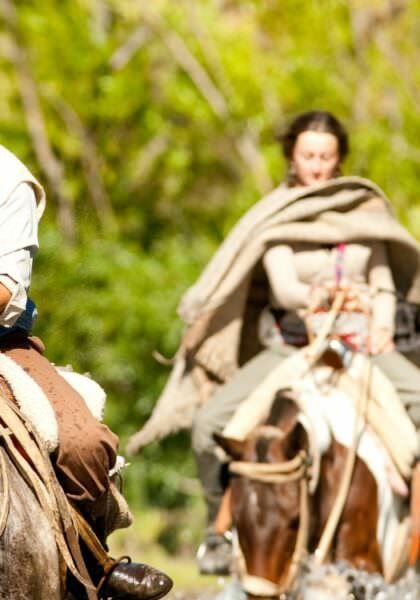 There is a rider weight limit of 95 kg. 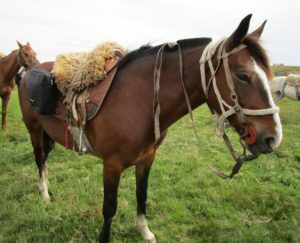 It is possible for riders slightly over this limit to be accepted on payment of a supplement to provide an extra horse. 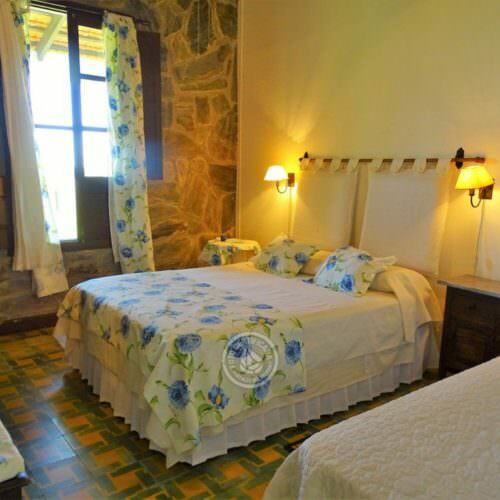 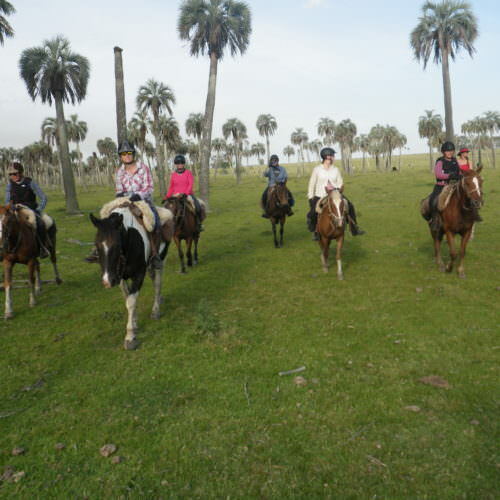 The accommodation used along the route is a selection of the most interesting and charming hotels, lodges and ranches available in the areas you visit. 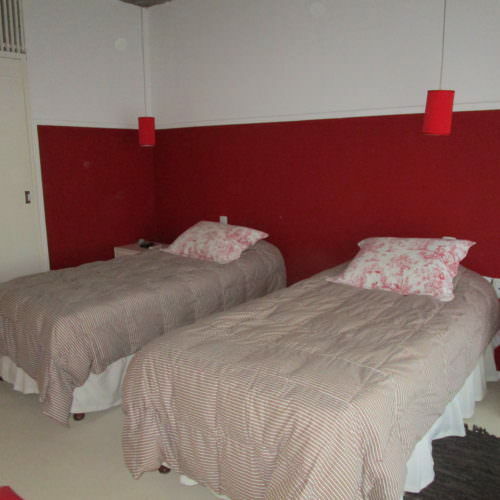 Most rooms have a private bathroom, but it may not be ensuite. 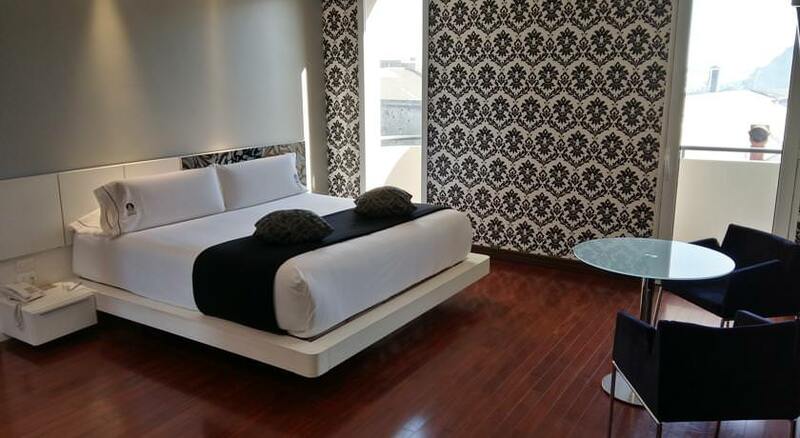 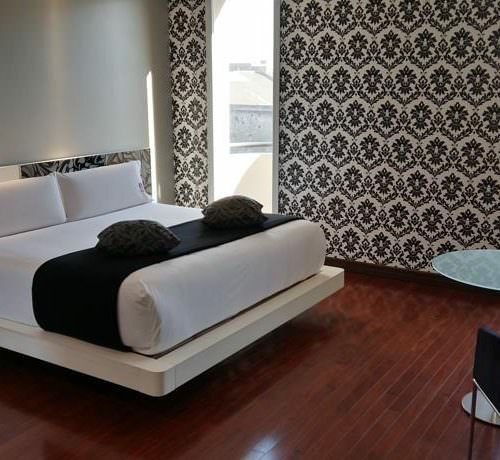 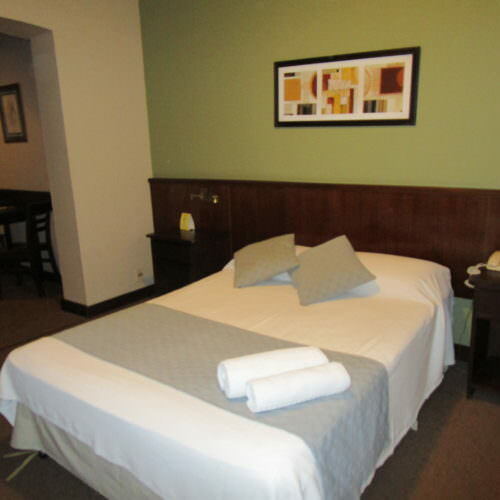 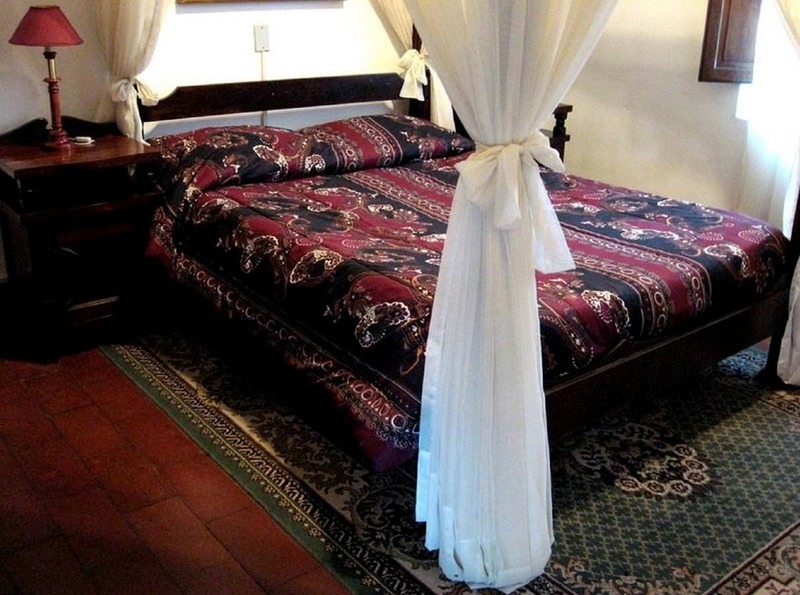 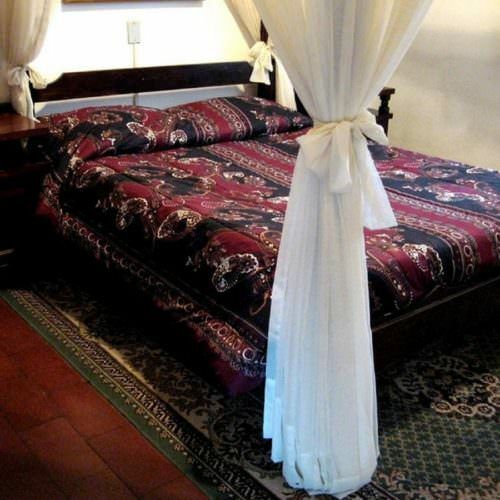 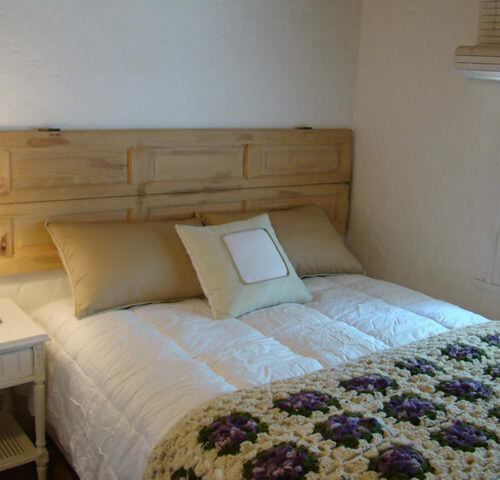 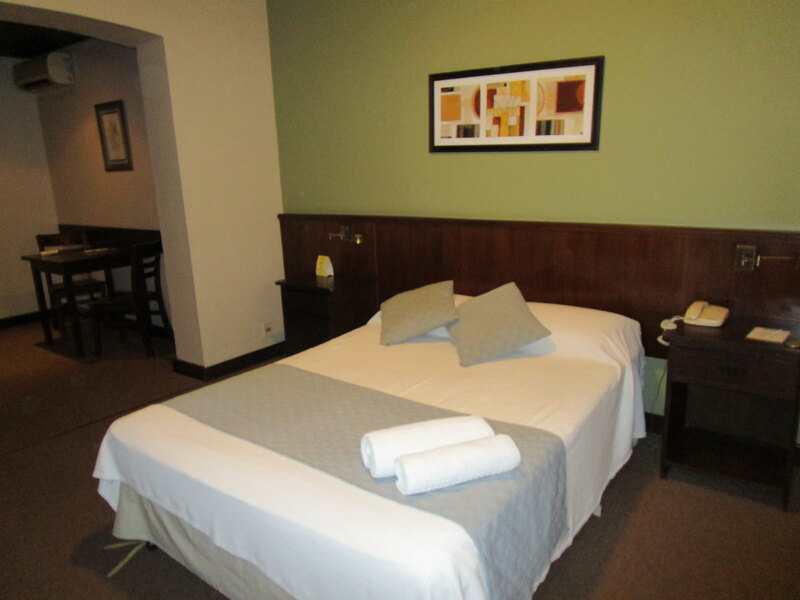 It is possible to request a single room in advance and a single supplement is payable. 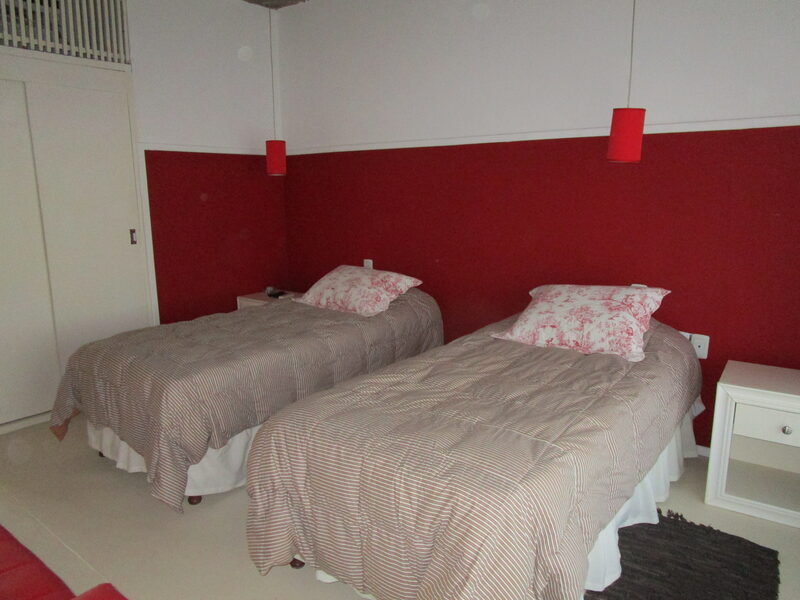 On some nights the bathrooms may be shared between two people. 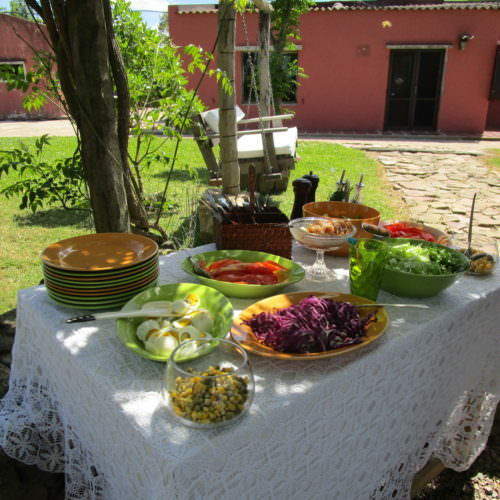 Meals reflect the local cuisine and are prepared with fresh produce of the region wherever possible. The red meat, fish and wine are particularly recommended. 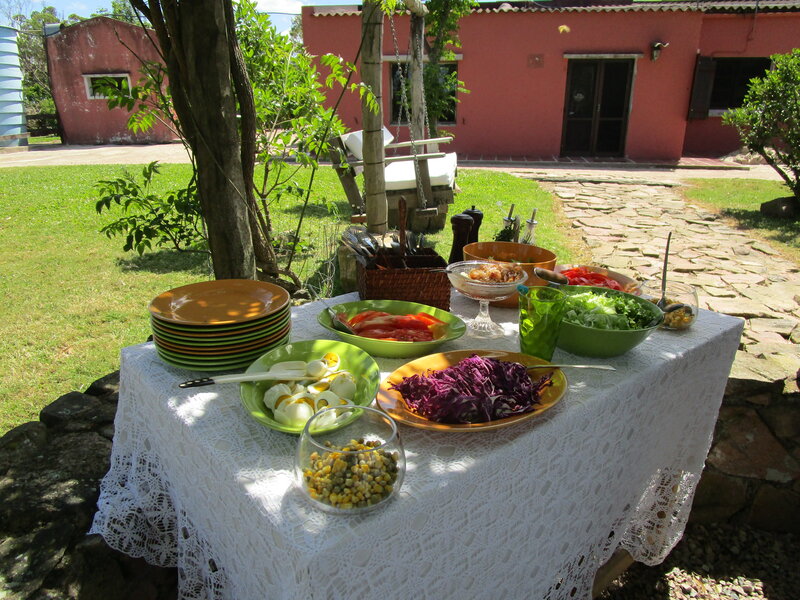 However, vegetarians can also be easily catered for. 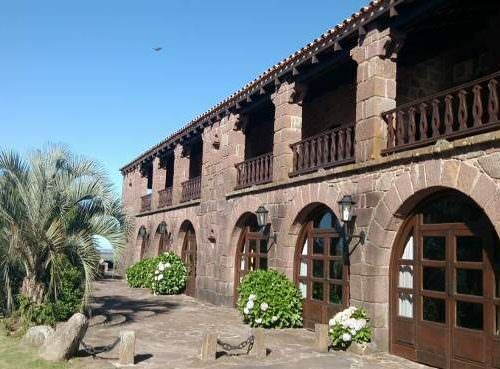 Each hotel or estancia has its own price list for alcohol, which is payable locally. 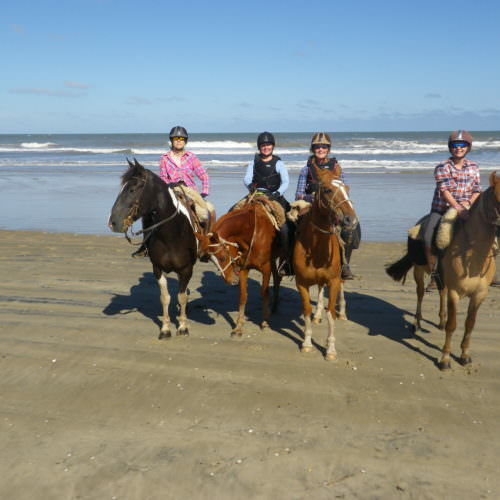 In addition to the set dates shown, tailor-made itineraries can normally be arranged for parties of two or more between late February and April and from October to mid December. 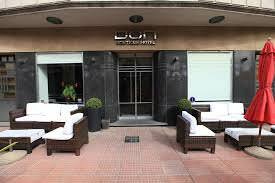 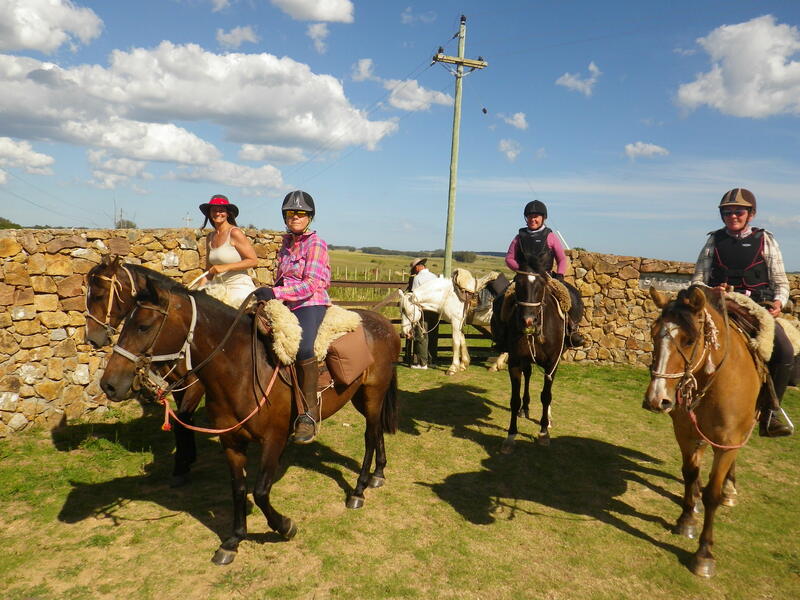 INCLUDES Accommodation; full board (except dinner on first day); riding; return shared transfers from Montevideo airport; city tour. 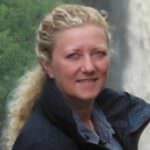 SINGLE SUPPLEMENT £406.72 (2019) or £430.18 (2020). 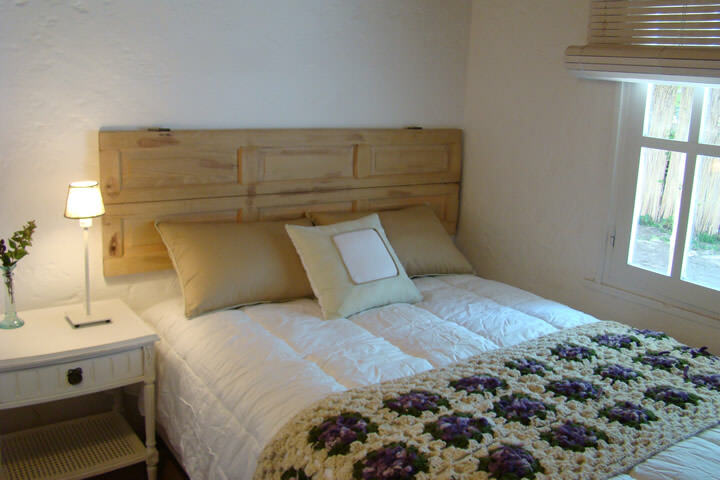 If you are willing to share, this will be refunded if we find you a sharer. 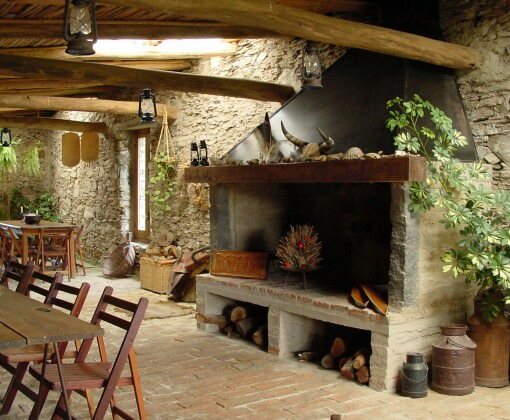 PAYABLE LOCALLY Dinner on two days; drinks; tips. 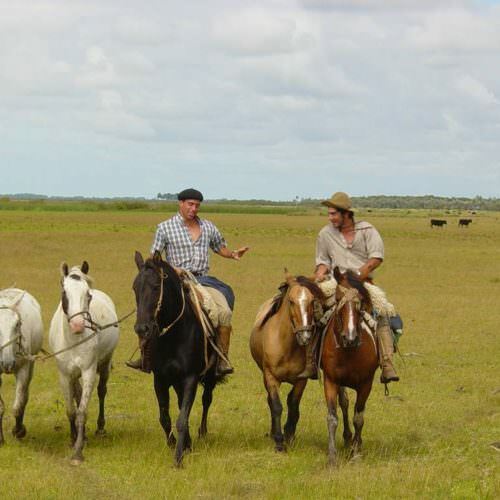 TRANSFERS Included from Montevideo on first and last days of the ride. 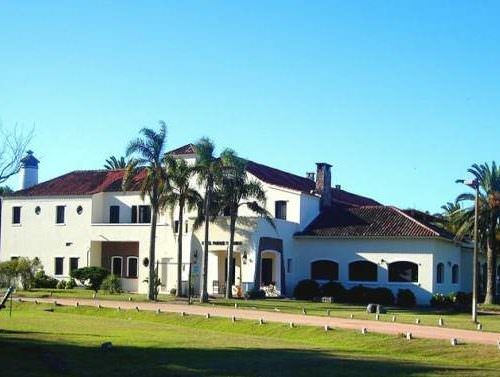 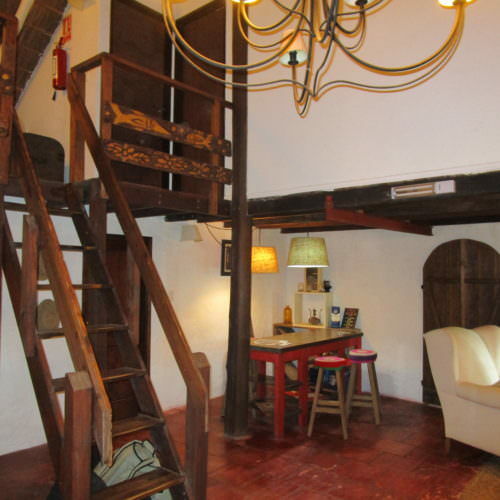 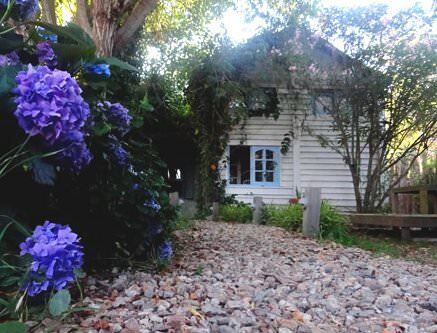 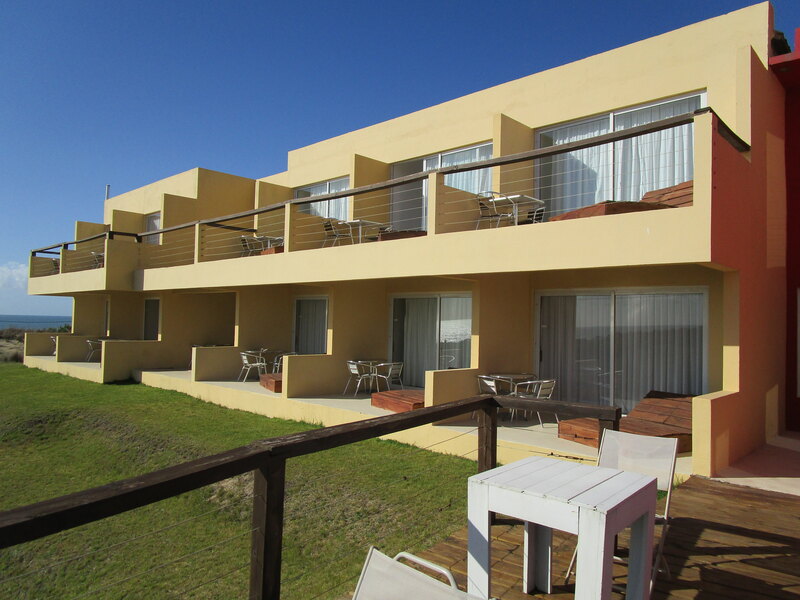 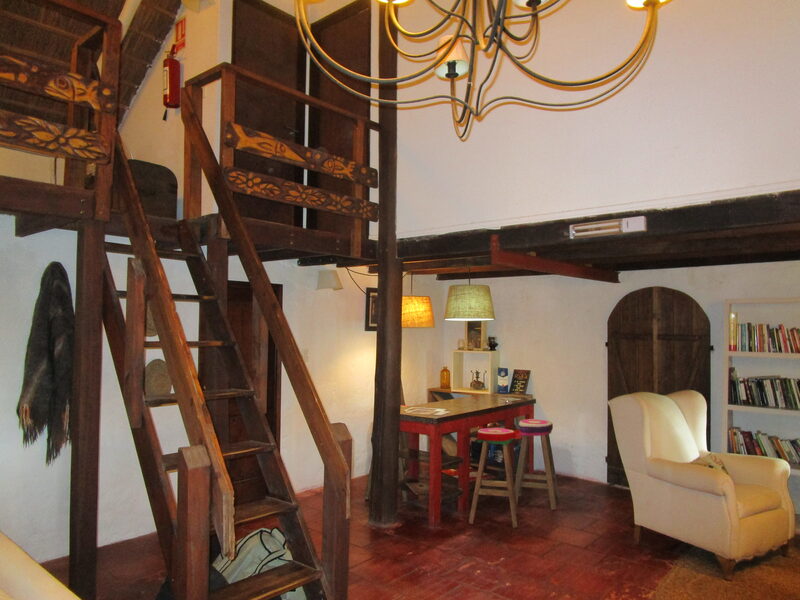 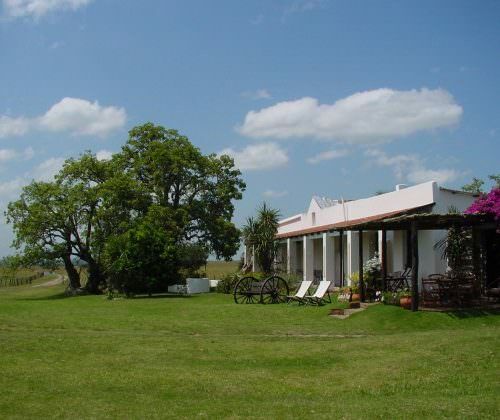 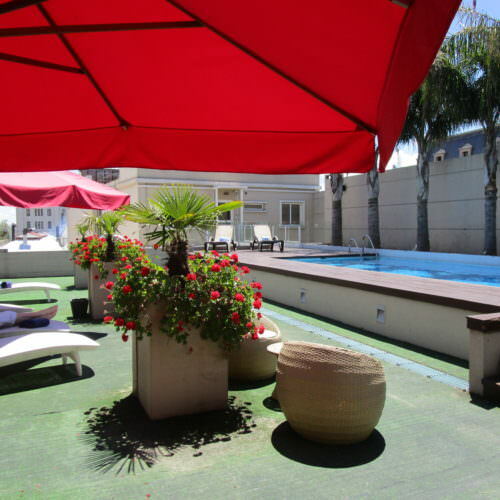 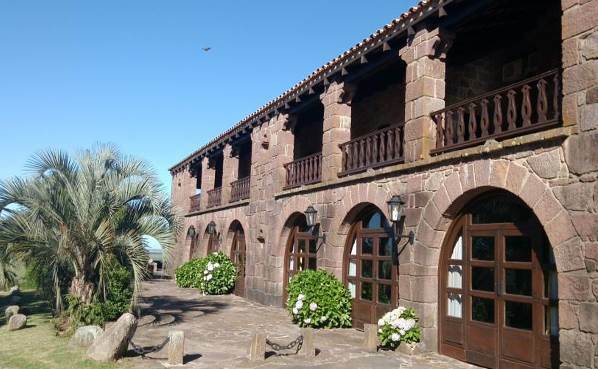 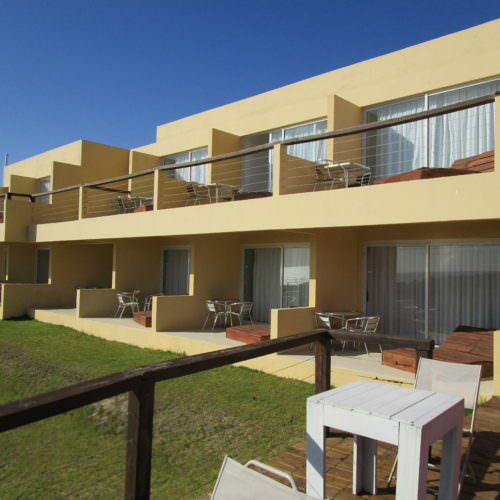 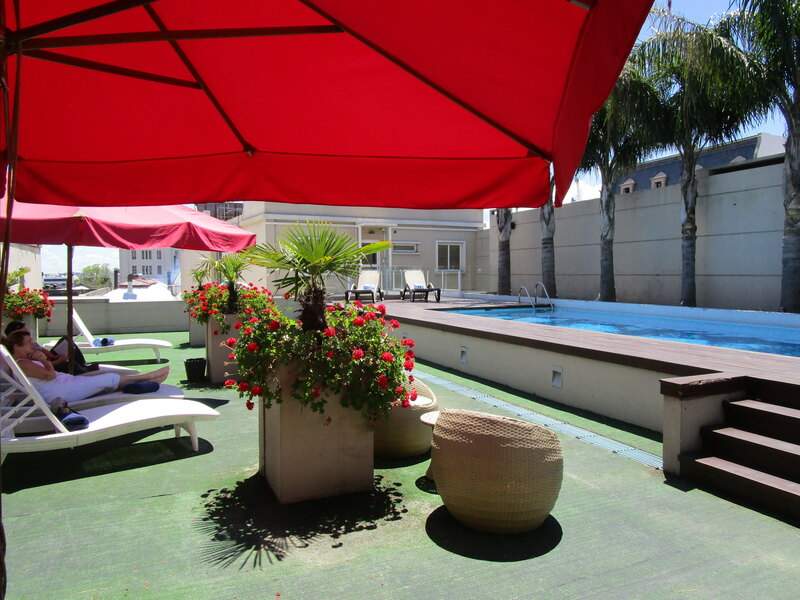 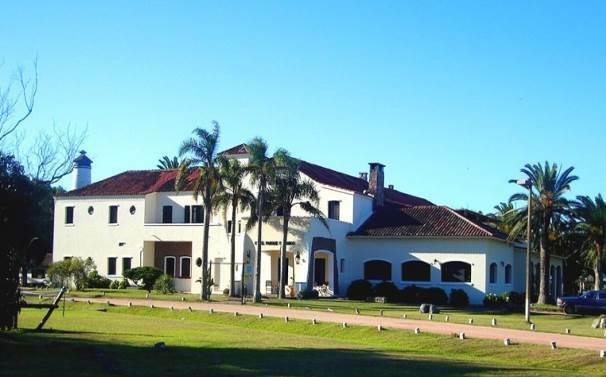 Special Offer: Looking Forward to Uruguay …. 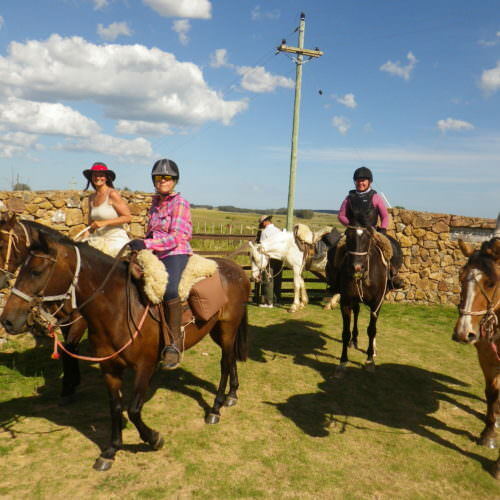 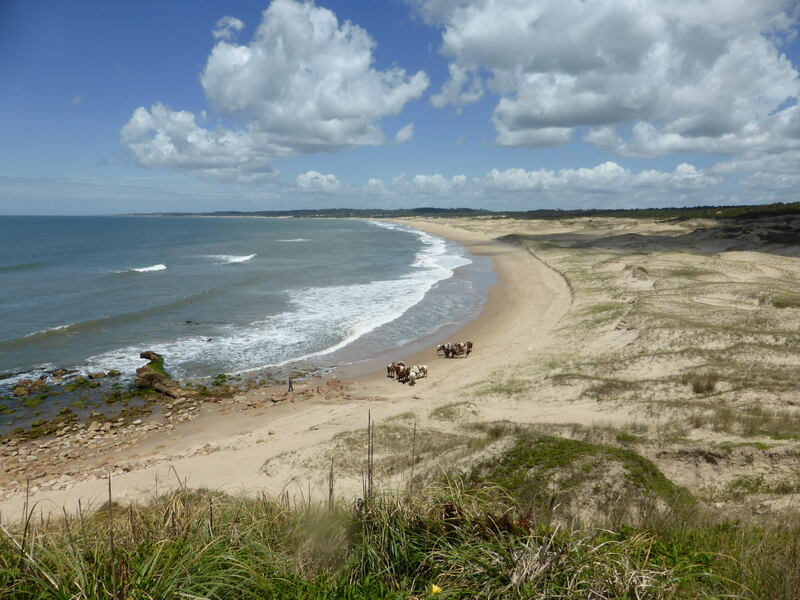 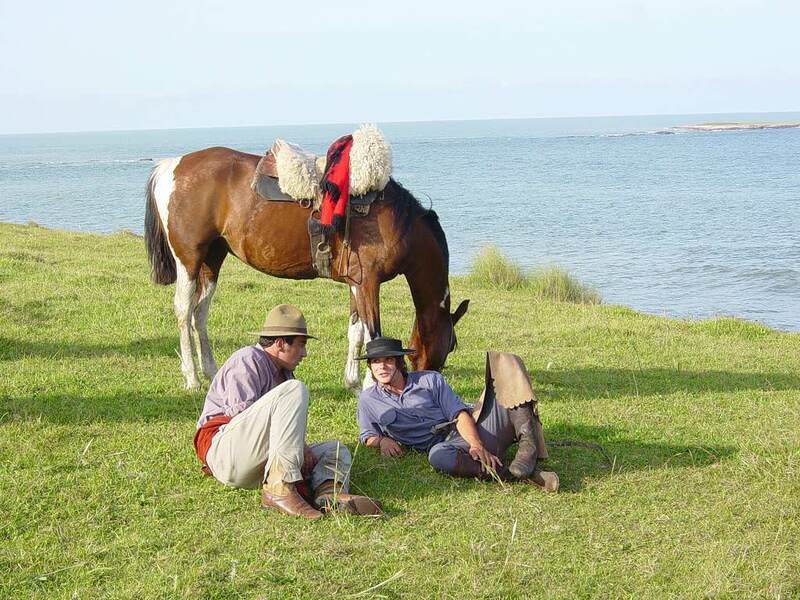 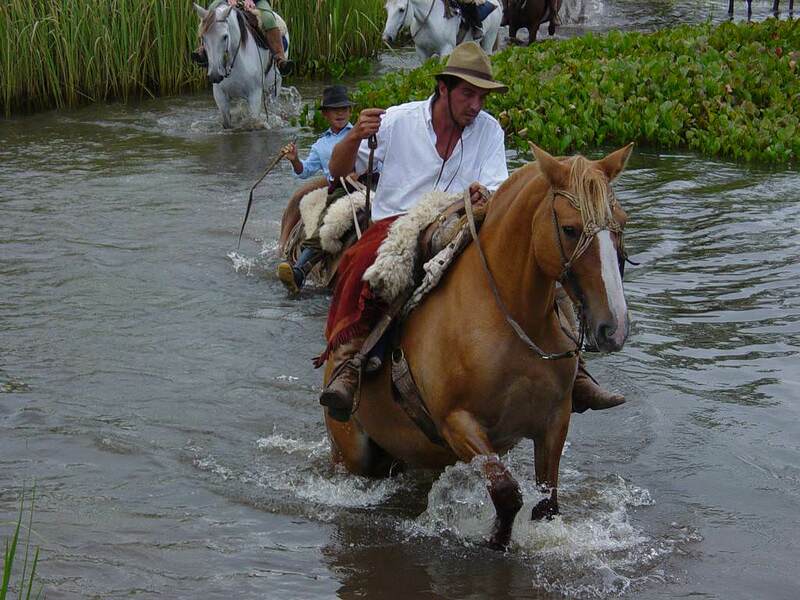 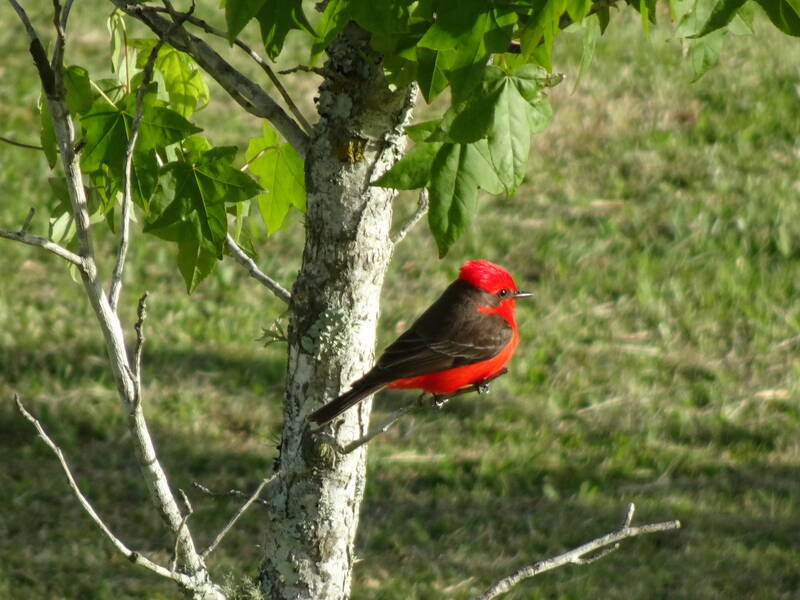 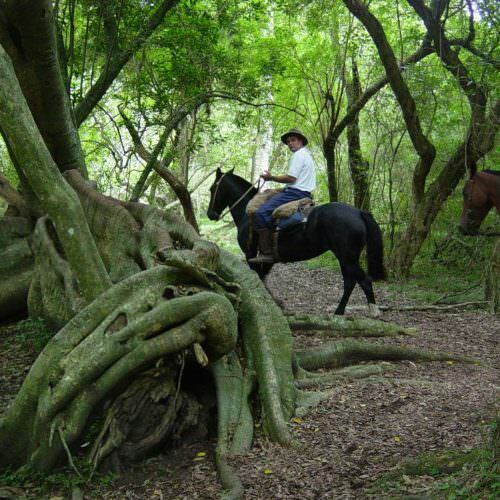 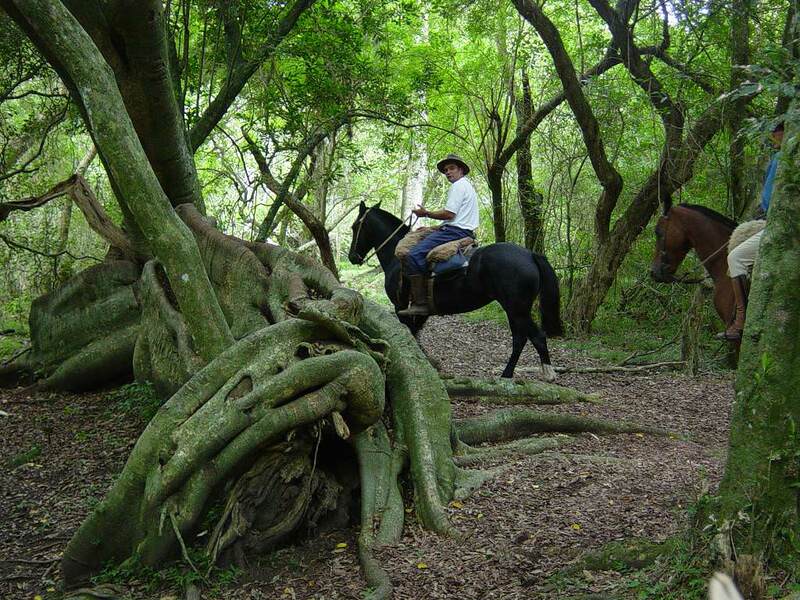 The Painted Birds trail ride is in the province of Rocha along the coast of Uruguay. The weather in Uruguay is variable, but you can expect warm spring and autumn temperatures, although some days can be cool (especially early in the morning or at night) and there is also the chance of rain. 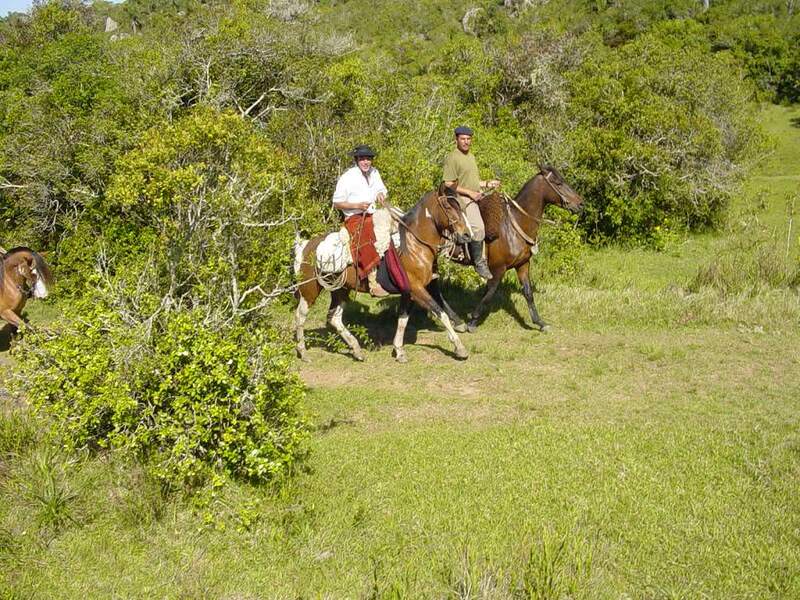 Riding was excellent, some of the best horses we have ever ridden. 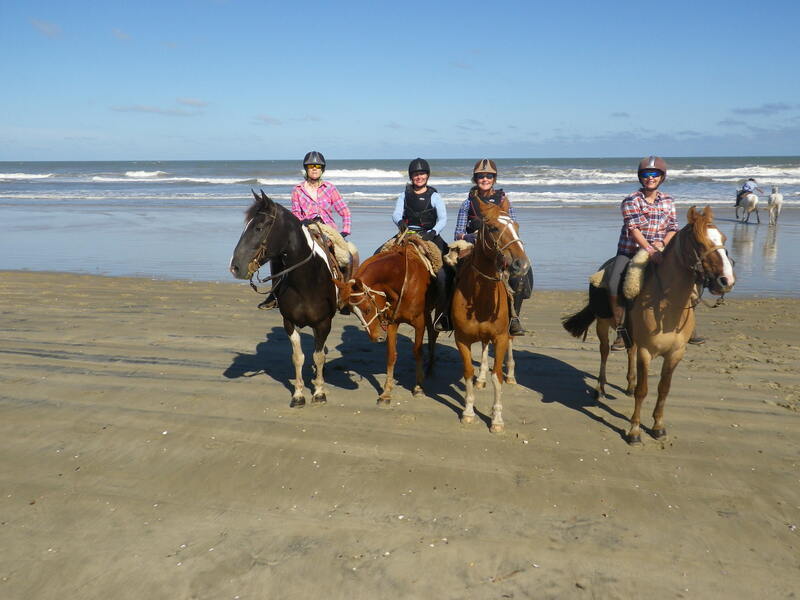 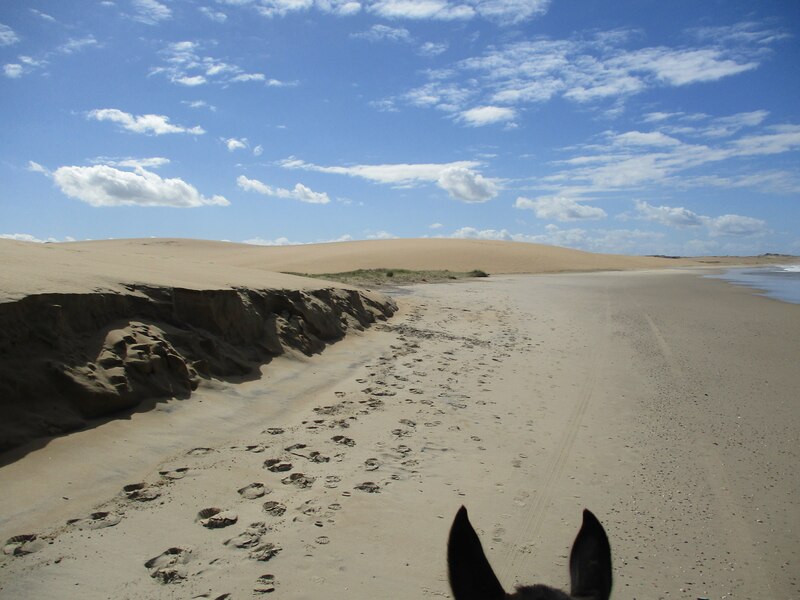 Beach riding and exploring interesting estancias; this ride offers something completely different to the rest of South America. 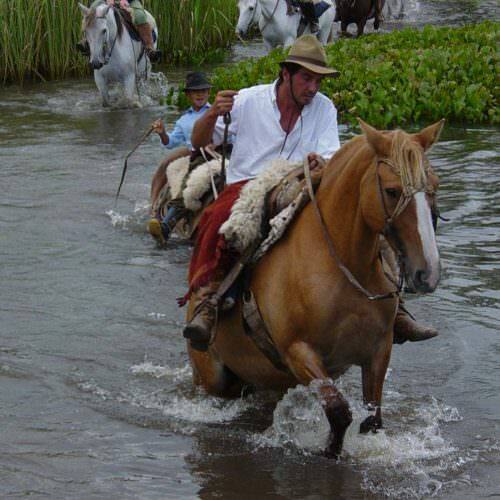 This ride combines really well with Los Potreros in Argentina or a few days in Buenos Aires.